Parents looking for a holistic and multicultural perspective on the day-to-days of childrearing will find Cannon’s book invaluable. 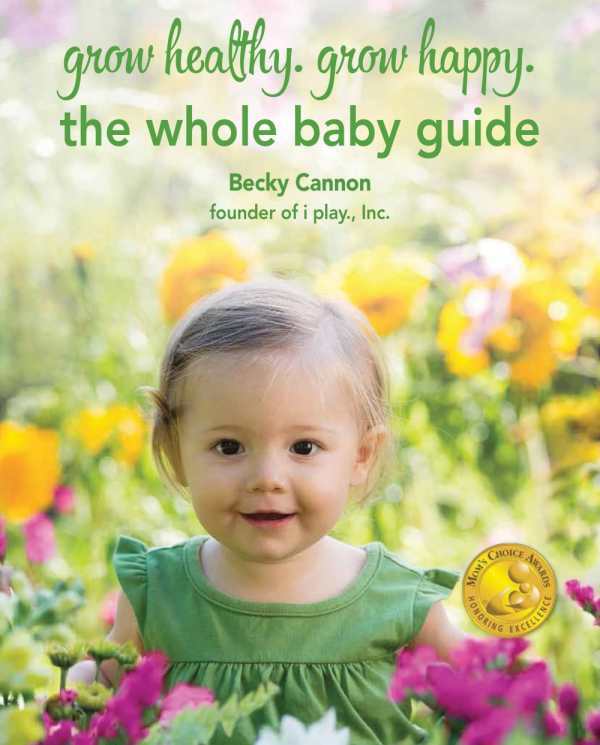 Becky Cannon pulls together a wealth of information for naturally and mindfully raising children during their first three years of life in the comprehensive parenting handbook Grow Healthy. Grow Happy: The Whole Baby Guide. The text features three distinct parts—Whole Baby, Whole Food, and Whole Living—that are detailed in the extensive table of contents at the start of the book. The meticulous organization of Cannon’s volume sets it apart from other parenting guides of its length; the parts are color coded, sections with new information are clearly labeled, and page layouts include graphs, charts, and images that break the text into easily digestible pieces. Cannon’s sincere tone is enhanced by the numerous anecdotes and personal photographs included throughout. Mining her experiences as a teacher and new mother in Japan, Cannon offers insight into cultivating and maintaining balance in the life of a child, particularly through mindfully managing the influences of yin and yang substances, foods, activities, and states of mind. Information on the benefits of natural foods will be helpful to parents navigating their baby’s transition to eating solids; incredibly detailed menu plans take the questions out of introducing new tastes and textures. A frank discussion of the materials and substances found in baby products rounds out the book, along with a product guide that lays out what items new parents need to welcome their baby home. “At a Glance” indexes for specific topics (recipes, childhood illnesses, etc.) found at the book’s end allow for quick, easy access to essential information, and an exhaustive bibliography provides a multitude of resources for further research. One would typically expect to have to access numerous handbooks to be exposed to this much useful guidance, but Cannon has managed to capture the knowledge and wisdom she has gained as a parent, educator, and business owner into one volume that could become, for many, a go-to guide for natural, holistic parenting.